Author Gage McKinney will share with us the incredible tale of the hard-rock miners from Cornwall who came to America early in the 1800s to tap the continent’s rich mineral wealth. They were crucial to the California Gold Rush and settled in the mining camps of the Sierra Nevada. 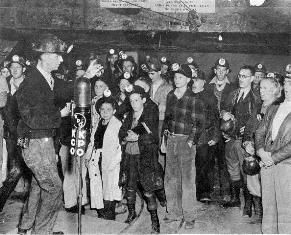 Along with their mining skills, they brought their folk music and especially their Christmas carols. Gage will describe the origins of this music, which was composed, performed and enjoyed by mining families, and is preserved today by their descendants. This “Christmas in June” event will prepare you to visit Grass Valley, California, where the Cornish carols are still sung on the streets in December. Free and open to all.